Some couples will hire a wedding planner, while others opt to take on the job themselves. Before you decide what you want to do, you should know what people are saying about the benefits of having a wedding planner. Some will tell you it is worth every penny. So, if you’re engaged and ready to get hitched, then the following information is for you! Below are some of the top reasons to hire a professional wedding planner in Northwest Indiana. Get expert advice: Your family members and friends have good intensions—they truly do—but all their opinions can cause stress and confusion, and you don’t need your judgment clouded. Wedding planners are dedicated to learning as much about you as possible, including your style, the vision you have for your wedding and who in your family drives you crazy. They come with expert advice to help in all decision-making processes. Save time and stay on schedule: A wedding planner saves couples a lot of time. You can go about your life and only need to contribute with answers to questions when called upon to do so. A planner also keeps you on schedule. They keep you in the loop regarding approaching deadlines and send you reminders when you have decisions to make. Avoid going over budget: Like everything else in life that requires money, wedding costs can quickly get out of hand. A wedding planner knows your budget and will steer you in the right direction from start to finish. And they know your money limits for each category, like vendors, food, decorations and the venue. Peace of mind: The average wedding in the United States takes six months to two years to plan. It can be hard to stay in a calm state of mind during this time! For your peace of mind, know that a wedding planner has everything under control, which allows you to not overthink things or take on more planning duties than you have time for. A planner helps to assuage your worries, and the best ones manage all wedding communications, including with other wedding venders. And if you need someone to intercept stress-inducing relatives, that can be arranged! If you like what you’ve read and think a wedding planner in Northwest Indiana is what you need, let us know! 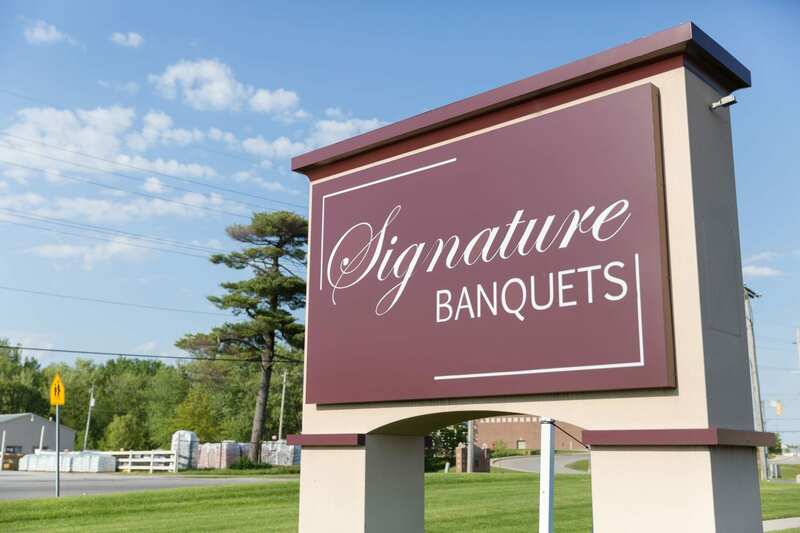 The team at Signature Banquets is dedicated to making your big day a wonderful experience. Call us today to arrange a consultation!